As many of you know, early access to the expansion Galactic Starfighter started December 3rd, for qualifying subscribers. Free Flight has hit the live game! In my opinion, this 12 vs. 12 PVP space combat is just plain fun. I get shot down a lot, but seeing that before now I never PVP in SWTOR, but I do now…hello space combat! BioWare posted an article outlining the early access and rollout of Galactic Starfighter expansion. Oh, and there is this tidbit about more to come in February! Yes, according to Blaine Christine, Senior Producer, Galactic Starfighter is just getting started! 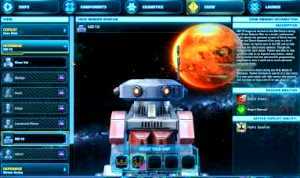 The full launch of the expansion will be in February. That is when the Bomber starship will be added to the mix and according to the BioWare article, 10 more Starfighters will be added to the expansion. There will also be a new Flashpoint, called Kuat Graveyards. This Flashpoint will be unique…it will be role neutral like Czerka Flashpoints in Storymode, this new Flashpoint will also be level neutral. How exactly will they be pulling off level neutral, I’m not sure, but this could mean a sort of mentoring or side-kick concept used in other MMOs? They allow higher level players to go with lower level players and their health and stats are lowered. However if it is neutral, perhaps everyone, according to their advance class will be given specific health levels and stats. It will be interesting to see how this Flashpoint works and how the neutral level could be added to older Flashpoints so guild members can assist others without taking all the potential XP. What do you think of the new Flashpoint and other goodies still to come for the Galactic Starfighter expansion? Let us know in the comment section below. BioWare is looking to showcase players’ screenshots on their Facebook page. These screenshots will be used to help make the two year anniversary of SWTOR on December 20th. How can you possibly have your screenshots displayed? Below are the rules for submissions and the deadline dates for submitting your screenshots from the article on the SWTOR website. SEND US YOUR “My SWTOR Saga” SCREENSHOTS! Between now and December 15th, 11:59PM PST / December 16th, 7:59AM GMT, send us your screenshots for a chance to be featured on our official Facebook page! – All submissions are subject to the Electronic Arts Terms of Service. – EMAIL YOUR SCREENSHOTS ALONG WITH YOUR CHARACTER NAME AND SERVER TO SUBMISSIONS_EN@SWTOR.COM BEFORE DECEMBER 15TH, 11:59PM PST / DECEMBER 16TH 7:59AM GMT. As the early access neared and now has already arrived, BioWare released more articles about the development, aspects a part of Galactic Starfighter and even a video showcasing starship customization. One of the articles posted this past week, was by Brian Audette. This Developer Blog was about how Crew Members worked in the Galactic Starfighter expansion. These Crew Members, according to the article, are like your flight crew. They help prep your starship in four areas: Offensive, Defensive, Tactical and Engineering. According to who you select for each of the four positions, determines the bonuses for your starship in those areas. Once you have your flight crew selected, then out of those four crew members one will be your co-pilot on the PVP battle. Depending on which crew member you select will also determine the copilot ability you will have with that starship…until you select a new copilot. They also give you warnings about incoming missiles or laser fire. This is helpful if your copilot speaks Basic, but if not be prepared to read small subtitles. In the next article posted on the SWTOR website, Michael Backus, Lead Designer, gives pt II of the Developer Blog: Introduction. In this part of the blog, Michael talks about the price of the download, which is free. He goes into more detail about how they wanted the game to be more accessible, less restrictions between like Free-to-Play and Subscribers and also wanting to avoid any “Pay-to-Win” scenarios. Accessibility, well we know it’s free and that makes it very accessible already, but you don’t even have to do one PVE mission at all to play Galactic Starfighter PVP. Now with soo many people having access to the PVP battles, queues will pop fast, but there is also a matchmaking system in place to keep beginners with beginners and same with the more advance pilots. This was a welcomed announcement during beta, for me, because I worried about Free-to-Play players just getting annihilated and quitting the game. Nice job, BioWare on providing a matchmaking system even at early access launch. Next Michael, in the article, grouped restrictions and avoiding “Pay-to-Win” scenarios together. Explains that actually these two have a lot in common, they usually pit the “haves” vs. the “have nots.” This was something they wanted to avoid at all costs. If you have been in the forums, the real sticking point with some players is how you can use Cartel Coins to convert Ship Requisition points into Fleet Requisition points. By converting your points you earned with one starship, it would allow you to use to use the converted points to improve any of your starships. I can see where people might see this as a Pay-to-Win scenario. However, that player is earning those points by playing the game. It would be completely different if you could just buy Requisition points from the Cartel Market, but you can’t. You still earn Requisition points by playing the game. If you choose not to convert your Requisition points, it just means you will need to fly your other starships to earn points to improve that particular starship. Below is a video showcasing the various customizations found through buying components with Requisition points or certain paint schemes, laser bolt colors, and engine “flame” colors found on the Cartel Market. Oh, and be sure to look for some of the starship variations found on the Cartel Market also…they are not any better of a starship, but just gives a totally different look. This week for the gift ideas, I came across a list of 50 awesome Star Wars gifts thanks to Hiconsumption.com. No, I’m not going to talk about all 50 of them, but I did find a few that are pretty cool and also somewhat in budget. 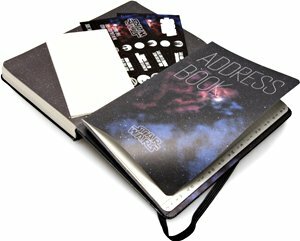 First off, there is a nice Star Wars Moleskin Planner. Yes, in this day and age it seems crazy to have a paper calendar/diary/planner, but one thing it won’t need charging. This also makes a great gift for someone you know that is into writing and looking for a journal to jot down ideas or start on that next story plot. 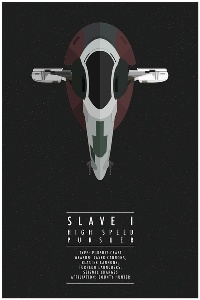 Next I came across Star Wars minimalist style starship posters. These prints fit right in with the Galactic Starfighter expansion that is out in early access. The prints are $14 a piece and are by the artist Weapon IX. Now, keep in mind these starships are from the movies and not the game, but would look great in any Star Wars fan’s “man cave,” bedroom or gaming room. 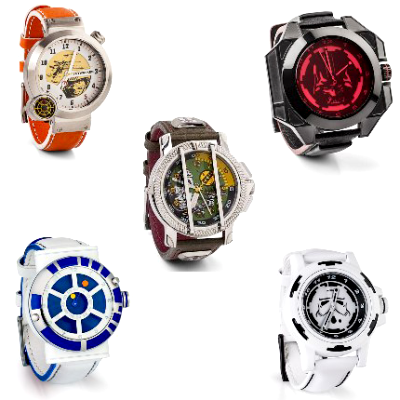 Finally, for maybe a bit higher end budget here are some Star Wars collector’s watches. There are five different choices in watches: Luke Skywalker, Darth Vader, R2-D2, Stormtrooper, and of course Boba Fett. Each watch is uniquely stylized for the character they are emulating. However, they will set you back $199.99 for each watch. That maybe a bit pricey, then again it is a gift.